← International Gamers Awards – winners announced! – Pozioni Esplosive , crackling game of crashes and combinations for 2-4 young alchemists by Lorenzo Silva, Andrea Crespi and Stefano Castelli, published by Horrible Games and distributed in Italy by Ghenos Games. Andrea "Liga" Ligabue is a game expert contributing to many games related international projects including Gamers Alliance Report, WIN, ILSA Magazine and Boardgamenews. Member of the International Gamers Awards Committee is coordinator of Play - The Games Festival and founder of the project Ludoteca Ideale. 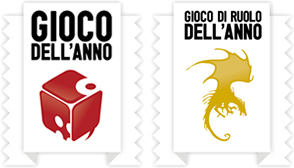 This entry was posted in Site News and tagged Gioco dell'anno. Bookmark the permalink.